Dr Adetokunbo Pearse, Chairman, Strategy and Mobilisation, Social Democratic Party (SP), South-West Zone, on Friday said that the party would accommodate Gov. Akinwunmi Ambode of Lagos State in 2019 election. 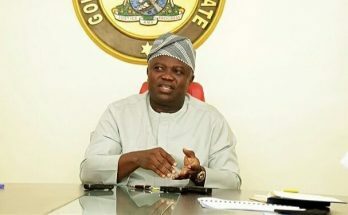 Pearse, a University teacher, told newsmen in Lagos that Ambode would be welcome to fly SDP’s ticket if his (Ambode) party, All Progressives Congress (APC) denied him second term ticket. ￼NAN reports that Ambode’s second term ticket has been facing some opposition within his party following speculations that he has fallen out of favour with his political godfather, Asiwaju Bola Tinubu. Tinubu is said to be currently rooting for a former commissioner in the state, Mr Jide Sanwo-Olu, who has already declared his intention to contest the governorship on the platform of the APC party, where Ambode also belongs. Sanwo-Olu, the Managing Director, Lagos State Development and Property Corporation, and Femi Hamzat, a former Commissioner for Works, are in the race for the APC’s governorship ticket. Pearse said: “I have to tell you the truth that our national leaders have asked us in Lagos to reach out to Ambode and to let him know that we will be ready to accommodate him in our party if he so chooses. “The reason being that Ambode has not performed excellently but we think, he should have an opportunity for second term to complete some of the works he has started. “More importantly, we see Ambode as a man who seems to be standing up to greed. That’s they reason why we feel Ambode should be given an opportunity. 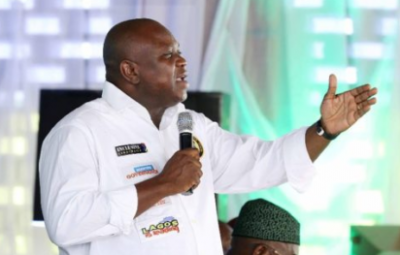 The SDP’s chieftain, however, said that whether Ambode came or not, the 2019 general elections were going to be the end of the ruling APC in Lagos. 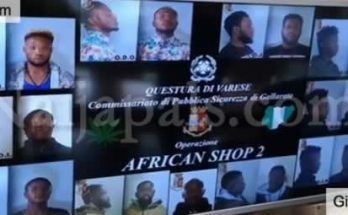 He said that the National Leader of APC and former governor of the state, Sen. Bola Tinubu had made a big mistake by allegedly bringing somebody that is totally unknown. “They can win the primary (against Ambode) but let it come to the general elections, people will show that this state does not belong to them”. 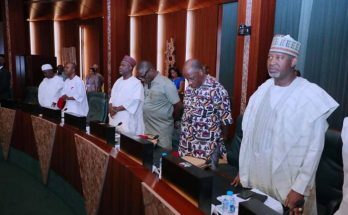 On SDP’s alliance with some other opposition parties ahead of 2019 elections, Pearse said that the alliance at the national level still subsists and would be used to oust the APC in the state. He said: “We understand that it might be difficult to oust the incumbent that has been there for years. We need an alliance and that alliance by the grace of God will come into being. On the outcome of Osun poll, Pearse said that the alleged flaws that characterised the election and runoff had shown that the Independent National Electoral Commission (INEC) was not prepared for 2019 elections. “INEC is not prepared for 2019 general elections with the conduct of Osun gubernatorial election. INEC is not independent at all and cannot conduct a fair, credible and acceptable elections. “The reason being that, once the President of the country is the person who appoints the Chairman of INEC, the INEC is already compromised. “Looking at the decision of INEC on Osun gubernatorial election, do you think if APC had been the party that won with 353 votes in Osun, they would not have declared the party’s candidate as that winner?